CLOSEOUTS. 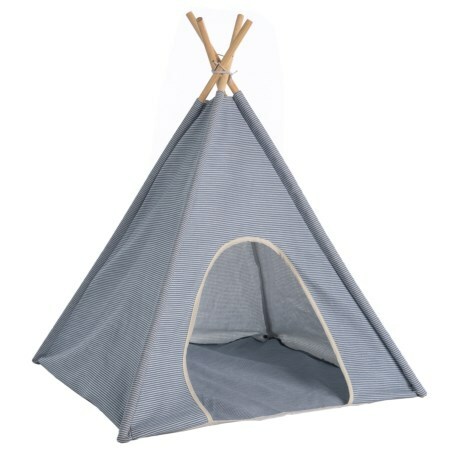 Give your pup a cozy space of his or her own with Detailsand#39; blue canvas pet teepee, a cute little tent with lots of room inside! Available Colors: BLUE.